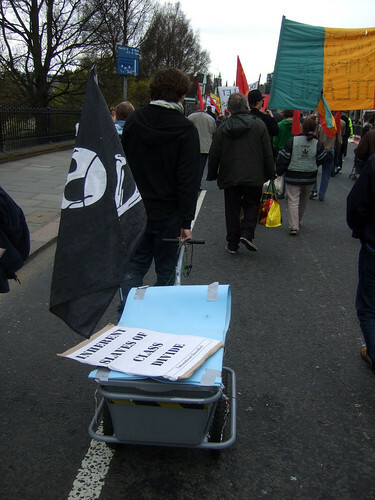 Mayday 2008, originally uploaded by alister. Good weather and a decent turnout for Mayday this year with speeches including Seamus Milne, Colombian trades-unionists and others. Will try to post some video later. Meantime here is an anarcho pirate.